Jeffrey (Jeff) Smith is President of Outback Steakhouse. He is responsible for leading the domestic operations and development of Outback Steakhouse restaurants. Mr. Smith began his career with Bloomin’ Brands in 1989, training at the original Outback Steakhouse restaurant in Tampa, Florida. As Managing Partner of the Altamonte Springs, Florida location, he implemented Outback’s first curbside take-away – a service so successful that it was later expanded throughout the company. Mr. Smith rapidly progressed through Outback’s leadership, including promotions to Joint Venture Partner for Northern Virginia, and later to Regional Vice President of Operations for the Southeast region. In 2004, he was promoted to Vice President of Operations for Bonefish Grill and remained there until he became President of Outback Steakhouse in 2007. Under Mr. Smith’s leadership, Outback Steakhouse has received national recognition for “best steak” and consumers’ choice. Prior to joining Bloomin’ Brands, Mr. Smith worked for Houston’s Restaurants. I started working in restaurants while in high school and instantly connected with the industry because it’s high-energy, fast-paced and never boring. I also enjoy the social aspect. Restaurants are a place where people come together to connect, share and create memories. Tell us about Outback Steakhouse. What inspired the idea and what is your vision for the company? The inspiration behind Outback Steakhouse was to create a bold and unpretentious steakhouse, one that took the quality of fine dining to casual dining. My vision is for Outback to remain relevant to consumers in an ever-changing restaurant environment to continue to be their first choice to eat, drink, relax and be with friends. 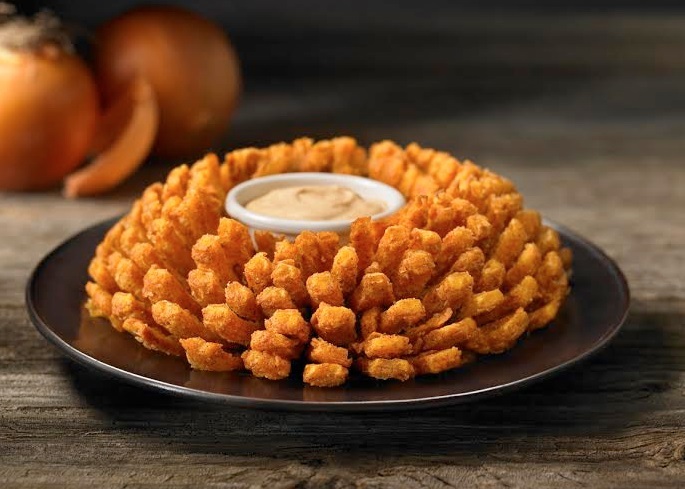 What strategic partnerships/marketing strategies have you implemented that have attributed to Outback Steakhouse success? Our key strategic strength was to create the Managing Partner program. We wanted owners running our restaurants that were focused on achieving long term results. When we have great running restaurants, our marketing strategies only become more successful. Most recently, we’ve implemented a renewed focus on our core steak business through product development, menu design and advertising. Additionally, strong collaborations with our partners like NASCAR, Coca-Cola and Budweiser have helped us develop a new layer of consumer engagement to help drive our overall business. There are two trends that continue to come up regardless of age, ethnicity or gender. First, people’s time is a precious commodity and secondly, people are eating differently. As a response to the first trend, we recently introduced Click-Thru seating on our website and mobile app. Click-Thru seating gives our guests the opportunity to check our wait time and add their name to a virtual wait list before they even leave their home. Click-Thru seating was our answer to the “time” trend. Last year, we introduced our new Sips and Snacks menu delivering against the second consumer trend. We realized that consumers are eating differently. They’re looking for smaller portions that are priced right and also deliver innovative flavors. The new Sips and Snacks menu give our guests the chance to explore new flavors and create their own eating experience. Do better tomorrow than today. Your greatest success as President of Outback Steakhouse: Most difficult moment-how did you overcome and what did you learn? Without a doubt, that moment for me was making the decision to revamp our menu in 2009 and accept lower returns to improve traffic. It was a decision that I made during a very turbulent time in our business. What I learned was as a leader - nothing gets done without taking risks. Your advice to an aspiring restaurateur? Be patient. Learn from everyone you work with. Try and make everyone around you the best they can be. Treat people with respect and always keep your moral compass true north. How important are architecture/design to the success of Outback Steakhouse? It’s very important. A memorable experience is a perfect combination of food, service and atmosphere all working together in harmony. The Outback Special (sirloin) and Wallaby Darn are the most popular and my favorite entrée is the Outback Bone-in Ribeye alongside an ice cold beer. People want to be a part of something bigger than themselves. Listening to our Outbackers’ thoughts, feelings and ideas has a positive impact and contributes to the greater good of the company. One food and drink left on earth, what would choose? A Bloomin’ Onion and a Fosters (ice cold, of course)! Role model- business and personal? Outback founders Bob Basham and Chris Sullivan are two of the most inspiring people I know. I’ve learned a lot from them over the years and they’ve had a tremendous impact on me and the leader I’ve become. My family always comes first - and then golf! I’ve been to some really great places and there are others on my list, but I’ll go anywhere - as long as I can enjoy it with my family. What’s next for Outback Steakhouse? Innovation is in our DNA, whether it’s through consumer facing technology or new products, we want to create a relevant and memorable eating experience for our guests. 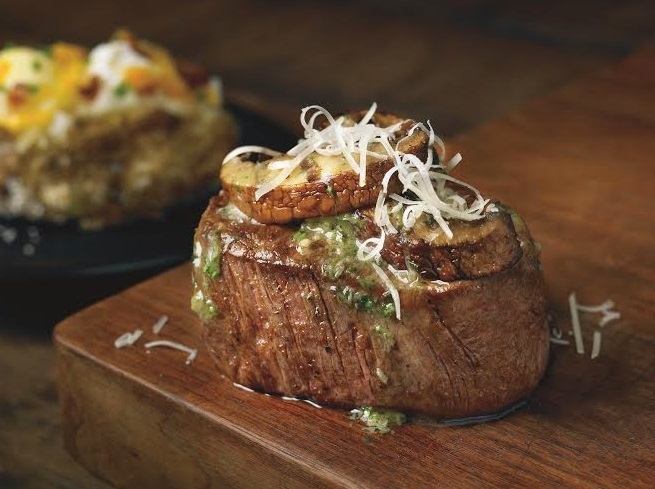 Look for some great new things at Outback Steakhouse in the next few months!